If you’re a Scrabble fanatic, you’d be pleased to know that there are 5 ways to play scrabble online 5 Ways To Play a Scrabble Game Online 5 Ways To Play a Scrabble Game Online Read More . 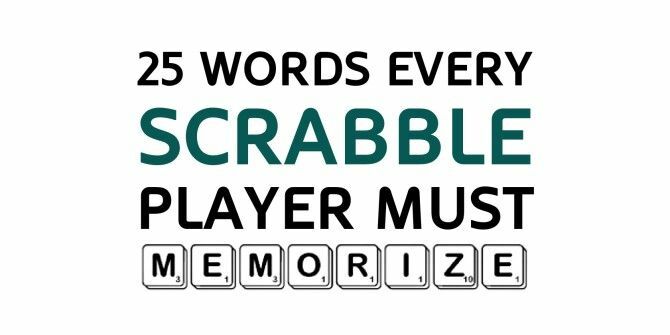 Not to mention loads of unusual tools to help you be a better player 3 Unusual Scrabble Game Tools That Help You Get Better At The Word Game 3 Unusual Scrabble Game Tools That Help You Get Better At The Word Game These three Scrabble games are more tools and less games. Also, I think if you love a particular game, you will like to play it in any of its avatars and take any route possible... Read More . But this list is key — memorise them for the win! Given that "y" is officially a consonant, that means that the word "rhythms" easily makes it a longer all-consonant word than the obscure Welsh word as shown above; it's also likely to cause far fewer arguments as to its legitimacy when used. Another highest scoring two letter words: Qi. when did the letter y become a vowel? Did I miss the memo? Y is a vowel when it is neither preceded nor followed by another vowel. Therefore, the list of vowels is "A, E, I, O, U and sometimes Y," as I learned it in grade school.